Avendus advises Quikr on a transaction with HDFC to launch online-to-offline solutions. Housing Development Finance Corporation Limited (HDFC Ltd.), India’s leading mortgage company today announced that it has entered into definitive agreements to transfer its entire shareholding in HDFC Realty Limited, a real estate brokerage platform; and, HDFC Developers Limited (which runs the HDFC RED platform) to Quikr, India’s market leader in digital classified business. 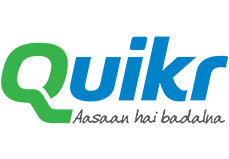 HDFC has also acquired an equity stake in Quikr India Private Limited (Quikr India). Avendus Capital was the exclusive financial advisor to Quikr for this transaction. HDFC Realty is HDFC’s offline brokerage business with a presence across residential and commercial properties as well as consulting and valuation services. It has a 300-member inhouse sales team and 7,000 strong nationwide broker network. RED is an online real estate classifieds platform with ~7,000 project listings on its platform. It generates traffic of over 80,000 unique visitors per month. HDFC will also work closely with Quikr to jointly conduct analytics and identify potential homebuyers, and therefore home loan customers, early in their home buying journey. HDFC RED will further strengthen Quikr’s existing leadership in classifieds whereas the brokerage business will help the two partners bring closure to enquiries generated from consumer demand. This positions Quikr to strongly benefit from the recent regulatory changes in real estate sector that have created new opportunities for organized players. Given the varied needs of customers, besides leveraging HDFC Realty’s brokerage capabilities, Quikr will continue to work with external brokers as it does currently to ensure full coverage. Housing Development Finance Corporation Ltd (HDFC), the pioneer of retail housing finance in India has assisted over 61 lakh families to own their house. HDFC’s strength has been its valueadded services, delivered through a specialist team of trained and experienced professionals. HDFC has consistently had an impeccable record of customer friendly services. HDFC has been described as a model housing finance company providing technical assistance and consultancy assignments for developing countries across Asia, Africa and East Europe. HDFC‘s average loan is around Rs 26 lakh and has been catering to affordable housing segment. HDFC has been awarded amongst the top performing institutions under the Credit Linked Subsidy Scheme – Pradhan Mantri Awas Yojana (Urban) in 2017. The Avendus Group (Avendus) is a leading provider of financial services with an emphasis on customized solutions in the areas of Investment Banking, Wealth Management, Structured Credit Solutions and Alternative Assets Management. Avendus relies on its extensive experience, in-depth domain understanding and knowledge of the regulatory environment, to offer customized solutions that enable clients to meet their strategic aspirations. Avendus Capital, the investment banking arm, has consistently been ranked among the leading financial advisors by overall number of deals. It has a strong track record of cross-border transactions and has helped multiple clients benefit from opportunities across geographies. Avendus’s wide range of clients is testimony to its ability to serve its corporate clients throughout their life cycle – from growth stage funding to complex, large sized transactions later in the cycle. Avendus Capital Inc and Avendus Capital (UK) Pvt Ltd located in New York and London respectively are wholly owned subsidiaries offering M&A and Private Equity syndication services to clients in the respective regions.